I’m a fan of Barbara Kingsolver. I think I’ve read more or less all of her novels. Most people rave about The Poisonwood Bible but my favorite is Prodigal Summer and I also love the books with Taylor and Turtle: The Bean Trees and Pigs in Heaven. Flight Behavior is, like Prodigal Summer, a story about a woman on a farm, not feeling at home with her in-laws and about nature and the environment. I expected to enjoy this, and I indeed did. From the publishers: “Dellarobia Turnbow is a restless farm wife who gave up her own plans when she accidentally became pregnant at seventeen. Now, after a decade of domestic disharmony on a failing farm, she has settled for permanent disappointment but seeks momentary escape through an obsessive flirtation with a younger man. As she hikes up a mountain road behind her house to a secret tryst, she encounters a shocking sight: a silent, forested valley filled with what looks like a lake of fire. She can only understand it as a cautionary miracle, but it sparks a raft of other explanations from scientists, religious leaders, and the media. The bewildering emergency draws rural farmers into unexpected acquaintance with urbane journalists, opportunists, sightseers, and a striking biologist with his own stake in the outcome. As the community lines up to judge the woman and her miracle, Dellarobia confronts her family, her church, her town, and a larger world, in a flight toward truth that could undo all she has ever believed. What I didn’t like: Dellarobia’s name. My apologies to all Dellarobia’s in the world, what a name. I think the name stopped me from becoming completely attached to the main character which otherwise I might have done. On the other hand, not just her name, but also her life was very different from mine. There were many things to like about the book, though. For instance, Dellarobia was cheated out of college because of falling pregnant at 17. However, during the novel, it becomes clear she’s pretty clever and it was wonderful to see how she starts to believe in herself as the story progresses. Her attraction to Ovid, the African-American researcher, was very well explored. It was interesting that in this predominantly white population, Ovid was exotic more because of his academic title per sé than his skin color or the conjunction of the two. I enjoyed learning more about global warming. Kingsolver’s “miracle” was fictitious but a well-researched and easy to follow possible effect of global warming. I liked how this was explained. For instance, the”miracle” happening was comparable to waking up one morning and finding your eye had moved to the side of your head. That hits home! The best part is when Dellarobia is asked about her carbon footprint and how to reduce it. Now, remember she’s living a poor life. This example makes it so clear how different Dellarobia’s life and environment is compared to that of the people who think up these kinds of policies. While the reader was, at the same time as Dellarobia, educated about reducing their carbon footprint, it never felt (here nor elsewhere in the book) that the information was forced on the reader. Very nicely written, with lots of beautiful descriptions. 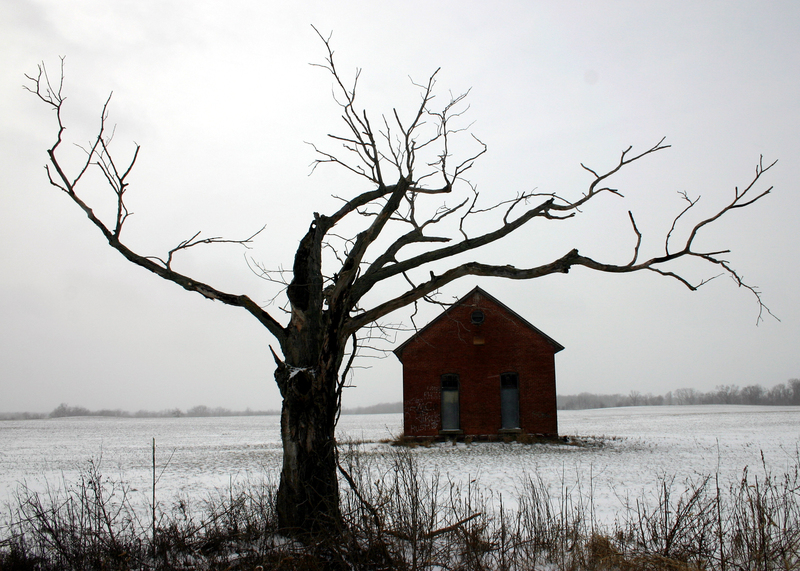 The novel is very rich in terms of location and history. The characters are firmly anchored in time and place and it felt as if Kingsolver has simply allowed us a look at Dellarobia’s life and town for the duration of the book. Extra: Other books I’ve read by Barbara Kingsolver are: The Bean Trees, Animal Dreams, Pigs in Heaven, The Poisonwood Bible, Prodigal Summer, Animal, Vegetable, Miracle: A Year of Food Life, and The Lacuna. The name is a bit of a mouthful, but what if you make it Della? A degree of familiarity? Julie, that would be much better, wouldn’t it? But I can’t remember that she’s called that even once, in the book. Della would be OK, except in Dutch a “del” is a whore so it has those associations for me. Delia would be better. Have you ever heard of someone called Dellarobia? Is it a “real” name? Hmm! I wonder what I would think of this one I too loved Prodigal summer, the Bean trees, Pigs in Heaven and The Poisonwood Bible, I also enjoyed reading her Essays in High Tide in Tuscon and Small Wonder. However I just wasn’t sure I fancied The Lacuna and so have so far not read it (or bought it) and I can’t decide if I like the sound of this or not. Not having read Barbara Kingsolver for a while maybe I have just got out of the habit- and need to give both her most recent novels a try? Ali, this book is very different from *The Lacuna*, much more like *Prodigal Summer* so I can certainly recommend it to you. *The Lacuna* possibly, but *Flight Bahavior* definitely. I’ve only read Prodigal Summer. I liked it though I thought it was a bit intense. I’d like to read her other books. Yes the name sounds a bit of a mouthful but I thought it was just me thinking like that. Mystica, if you liked *Prodigal Summer*, I think you’ll like this one, it’s the most similar from all her books. But different enough to make it interesting! 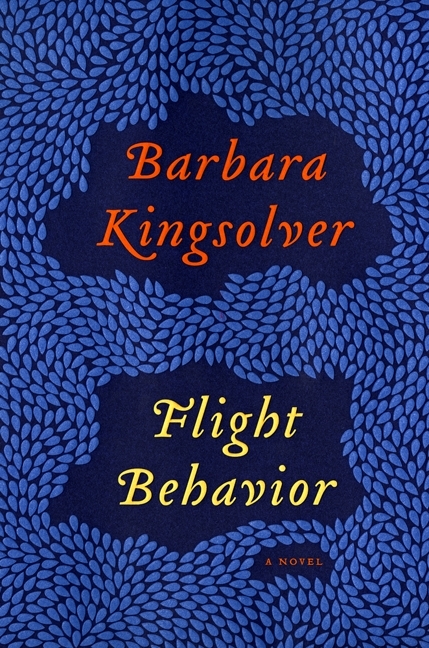 The only Kingsolver I’ve read is The Poisonwood Bible – which I liked, but didn’t love. I like the sound of this one – especially now you’ve given it 5/5! Well- researched science always grabs my attention. I’ll give this one a try at some point. Jackie, I think you;ll enjoy this. *The Poisonwood Bible* wasn’t my favorite Kingsolver so don’t use that as a reference. I’d love to know what you think of it. Charlie, yes, read it! This is a good story for sure. Debbie, it’s worth the wait! Hope you’ll enjoy it as much as I did. I’ve never read a book by Kingsolver, maybe I should give her a try! Nadine, this isn’t a bad one to start with. The only Dellarobia I know of is Andrea Della Robbia, an Italian sculptor in the 15th century, but I think this has nothing to do with this Dellarobia? I’ve been wanting to try a Barbara Kingsolver, I never read anything by her, but can you recommend one to begin with? Bettina, no, in the book, the name was a reference to a plant. I would suggest the books I mention at the top here, i.e., *The Bean Trees*( *Pigs* is a sequel of this) or *Prodigal Summer*. I want to read this, but I am not in a hurry to get my hands on it, if you know what I mean. I love this author, and Prodigal Summer is probably one of my favorites. But this sounds so much like other Kingsolver books I’ve read. Momto3, I think this is different enough to be worth reading. I loved it! Weren’t you disappointed in Dellarobia’s decision in the end? I understood, in a way, that she needed more in her life. But I feel so sad for her abandoned family. So so sad. Belezza, yes, I was a bit disappointed, and I found it a little unexpected too. I do think it was good of her to become more independent and not be stuck in the same situation for any longer. It was sad for her family, yes, I agree. But it was also a new beginning. I wonder how long they would have lasted if the butterfly event hadn’t happened. I mentioned that I am not a huge fan of Kingsolver but this does sound interesting, despite the main character’s name, of course. Suzanne, I loved this book, but yes, I’m a fan. So I can’t really recommend it (or not). I do have the feeling you’ll like this, but I’m not sure. I’m a fan of Kingsolver too and cannot wait to read this one. Rosemary, if you’re a fan of Kingsollver, I am pretty sure you’ll enjoy this. Thanks for this review! I’ve heard tons of good things about this book by now. I loved The Poisonwood Bible and am hoping to get my hands on this one soon. Hope you’ll enjoy this one too, Kelly! I hope to read more of her books. I’m now reading Flight Behavior and have only one other. Hope you’re enjoying it, Harvee.